The unbelievably great thing about The Maine Beaches is that no matter where you are, we have a place for you to shop. In Kittery, shop at our world-class outlets. Paradise. Mecca. Nirvana. Call it what you will, this is the spot to get the deals on the best brands direct from the makers’ factories. Clothes. Home goods. Books. Toys. Gifts. Jewelry. Anything and everything. Wells is the place for antiques. Looking for early American ironwork? Nautical brass? Primitive and farm pieces? 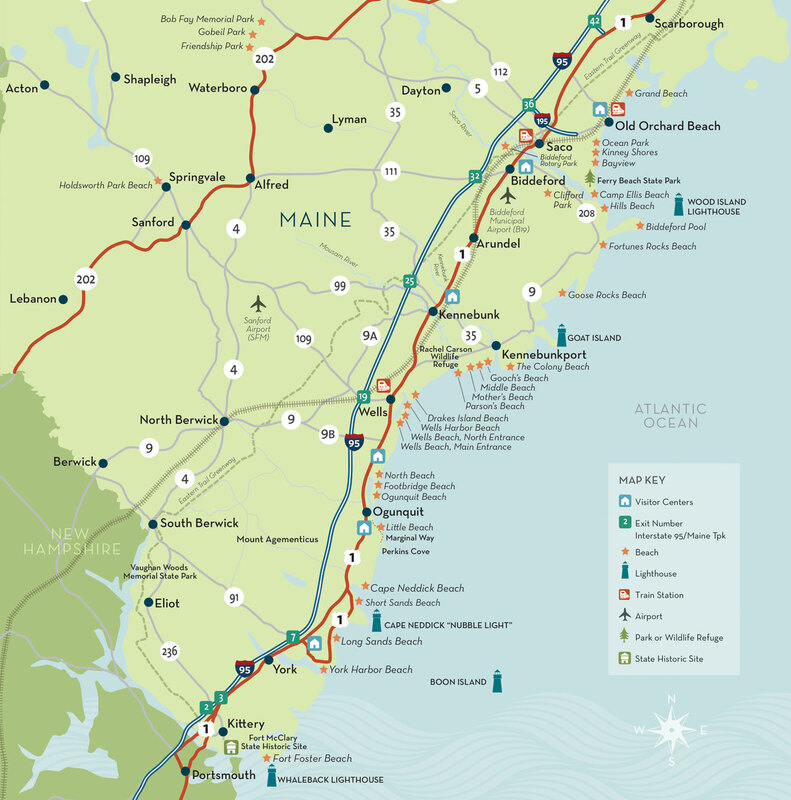 Professional dealers with an eye for vintage style prowl the coastal byways and back roads of New England, bringing it all to this first-rate deal destination along US1 in Wells, where 50 or more malls, galleries, and shops represent several hundred Maine dealers. And make sure to be around for the Kennebunk Antique show in August. No visit to The Maine Beaches would be complete without spending a little downtime downtown along our countless and quaint shop-lined streets. In Ogunquit, Main Street is a great start, then follow Shore Road down to iconic Perkins Cove for more. In both Biddeford+Saco, Main Street is crowded with great stores and leads down to the Saco River and The Shops at Biddeford Crossing, for more shopping and locally brewed goodness. York Village is home to many shops featuring hand-made and artisanal goods (onYork Street). In Kennebunk, Downtown and Western Avenue deliver the goods for shoppers. If you still need a little more, Kennebunkport’s Dock Square in is another shopping destination.